Box has 8 separate compartments to hold the pills or tablets for each day. This helps keep track of medicines you take at different times of the day. Never forget to take your tablets again, ideal for home or travel. It can be used for storing little things also, like small earrings and so on. Fully functional and very easy to carry, suitable for hunting, fishing, camping, adventure, outdoor life-saving and other outdoor activities or household. It will be easy for you to use this pill box due to newly designed push buttons. 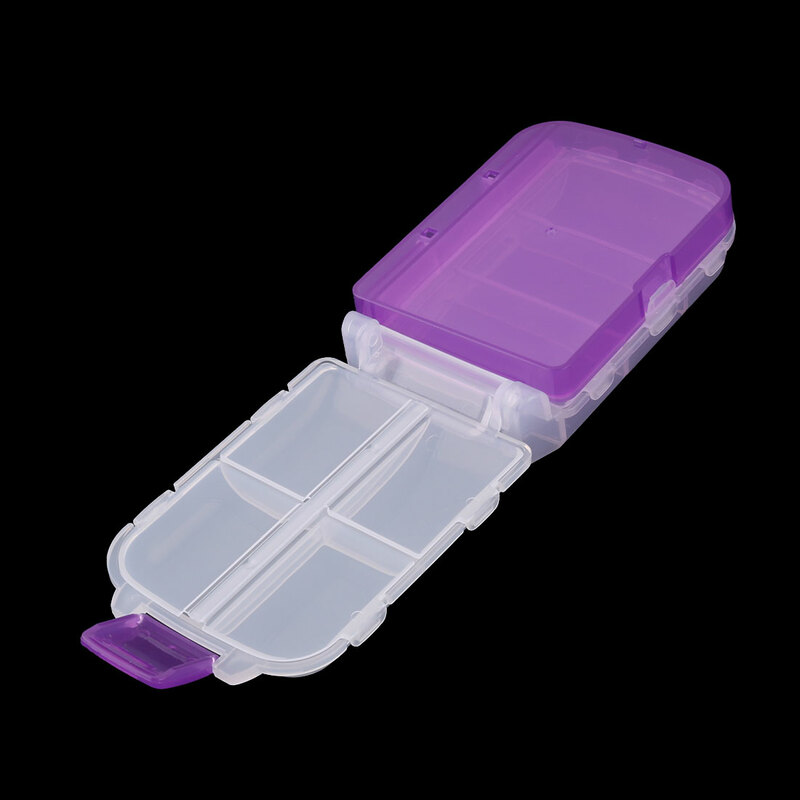 Small, easy-to-open lids, 8 compartments supply, take many conveniences. This is a box, ideal for people who need to store lots of medicine and other small things. Slim design good for travel; Enough space suitable for daily use.